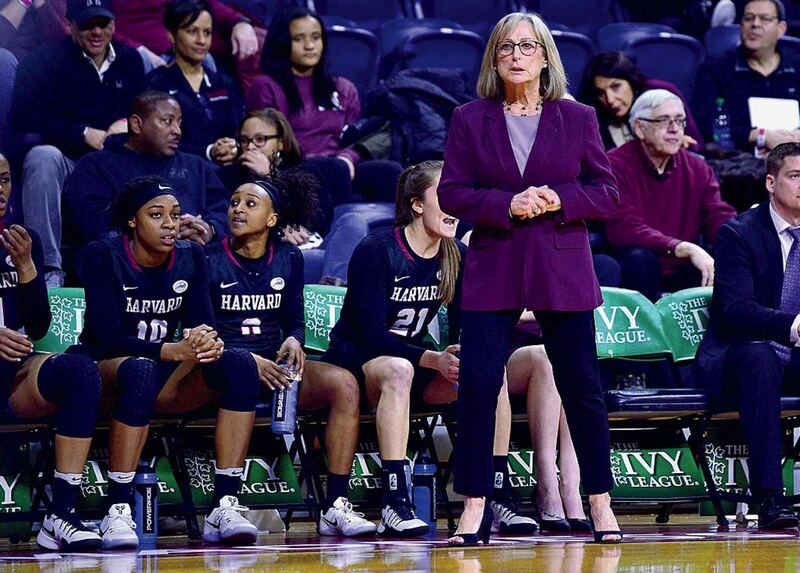 That evening, Kathy Delaney-Smith, the Friends of Harvard women’s basketball head coach—a position she has held for 37 years, though it was endowed only this season—anchored a panel discussion about gender equity and leadership in sports and life. Sponsored by Harvard Magazine, the event was moderated by the magazine’s basketball correspondent, David L. Tannenwald ’08, and tied to “An Authentic Act,” his recent story on Delaney-Smith and the complicated gender issues she and her teams have confronted: not only inequality, but sexual identity, homophobia, and mental health. and Jessica Gelman ’97, who co-captained Harvard in its first undefeated regular season in Ivy League women’s basketball history and who now serves as CEO of Kraft Analytics Group, a company focusing on data and analytics in sports and entertainment.